The latest in a series of secret passages used to smuggle drugs from Mexico to the US was found on Tuesday, linking warehouses in San Diego and Tijuana, reports the Associated Press. “It is clearly the most sophisticated tunnel we have ever found,” Lauren Mack, a spokeswoman for U.S. Immigration and Customs Enforcement in San Diego, said, according to AP. The Tijuana warehouse, next to a packaging company and a tortilla distributor, sits on the same block as a federal police office. Less than two weeks ago US authorities seized 17 tons of marijuana when they discovered a 400-yard passage linking the two towns, according to the AP. The passage had lighting and ventilation. 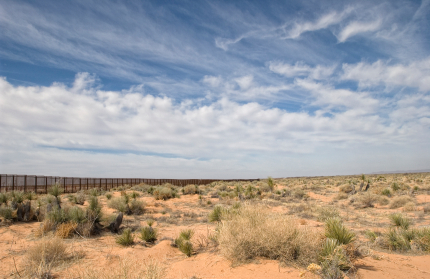 Tunnels have emerged as U.S. authorities increased on-land enforcement. More tunnels have been found along the border since October of 2008 than in the previous six years, many clustered around San Diego, California’s Imperial Valley and Nogales, Ariz., AP reported. Posted: 12/1/11 at 9:36 AM under News Story.